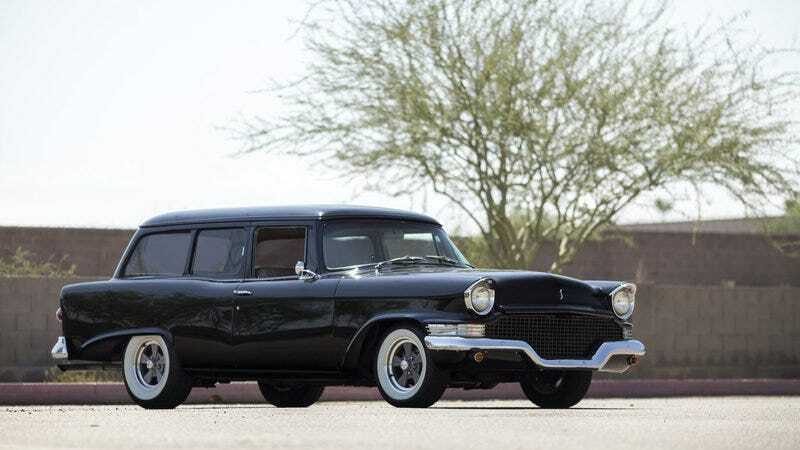 I don’t know who owns this ‘58 Scotsman wagon, but... HNNNNNGHHHHH. It is 99% perfect in every way (1% deducted for Chevy smallblock swap- I have spared you the horror of gazing upon such an atrocity). The site I nabbed the pics from didn’t even give a photo credit and just gave a general description of what a ‘58 Scotsman was, with no info on this particular one. Also, update: My ‘57 President is on the back of a trailer in South Dakota heading westward. SOON!